By his own admission, publishing this book is a career-risking move. 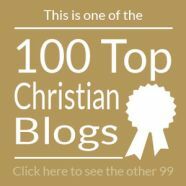 Furthermore, the criticism that Andy Stanley has already endured over statements which are contained in Irresistible would cause some to lay low for several months until the storm passes. …It’s hard to review a book when, for many weeks, you were tracking with the sermon series on which the book is based. There are usually few surprises. 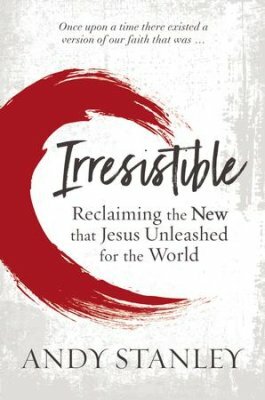 Irresistible: Reclaiming the New that Jesus Unleashed for the World (Zondervan) is based on a sermon series called Aftermath which the North Point pastor preached after Easter this year. The church website sums it up this way: “Jesus’ resurrection launched a series of events that introduced the world to his new covenant and new hope. But old ways don’t easily give way. Not then. Not now.” That could also well serve as a summary of the book. I was also struck by the humorous tone used to convey a rather serious subject. It creates a reading environment in which even a new believer — struck by the differences between the First and Second Testament and wondering aloud, “What’s up with that?” — can have a complete understanding of the world in which the news of the resurrection was first preached, and how the two parts connect. In many respects, the book is personal. His motivation for writing begins with a 2007 trip to China in which he was asked a poignant question about the church in America. In the book (and elsewhere as well) Andy mentions a verse displayed in his office, Acts 15:19: “And so my judgment is that we should not make it difficult for the Gentiles who are turning to God.” (NLT) He’s committed to removing any barriers to faith which might be hampering someone who would otherwise want to be part of Christ’s family. As he has stated many times, one of those barriers is the material found in the Old Testament (or if you prefer, First Covenant). The violence. The scientific questions. The seemingly arbitrary rules for conduct. The supernatural occurrences. Instead, he believes (as the book’s subtitle affirms) that we need to be focusing on “the new” and in so doing, focus on what the first generations of believers had in a world before church buildings, a world before printed copies of the scriptures, and a world where the resurrection was everything. It was a faith to die for. Thanks to Dave K. at HarperCollins Christian Publishing Canada for a review copy. To me this is just sad. Jesus is from the tribe of Judah. High Priest forever. He will rule the House of Ya’akov forever. (Luke 1:33a) I could go on and on. How can he even take the Jewishness out of the Gospel? The problem is, there are going to be so very, very many people weigh in on what Andy has written without ever reading the book. It’s not sad. It’s inspiring. 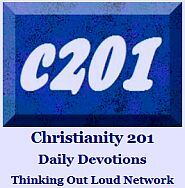 It’s a window into all that First Century group of believers had to face. The writer of Hebrews uses the word obsolete and the word outdated. Don’t accuse Andy of “taking the Jewishness” away from the larger story. 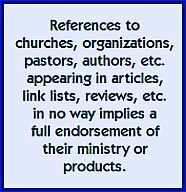 But we do create walls when dealing with non-churched people when our resurrection testimony is overly complicated by the back-story. Andy also has — for reasons I won’t get into now — a very significant proportion of Jewish people attending his church on a regular basis. That may have something to do with his decision to begin to work toward this approach over the past eight years. I will take a look at the book. I have always seen the new covenant to as Jewish as the old. The old is no longer the one we follow. It’s laws are covered my Messiah’s blood. We are now in the new not in the old. But that does not take away the roots of the tree. Alistair Begg says it takes the whole Bible to make a whole Christian. The covenant may be new but the Old Testament prepares us for it the whole way through. Israel’s old covenant history is an allegory for Christianity. The Apostle Paul contrasts grace as superior to the Law but he never says the Law is bad. It was a gift from God to his people. The two parts of the Bible tell one story. We need a better understanding of how those two sides are of the same coin rather than unhitching ourselves from three quarters of the Bible. I’ve never been a fan of Andy Stanley and this only convinces me he should not be a Bible teacher. You’re right about one thing, I will definitely be condemning him and the book without ever reading it. Your review is enough to convince me of that. I have read 20 times the whole Bible in more than 5 versions in these 20 years. I love both OT and NT. I despised preachers who talked less about OT. I despised my friends who did not know about some of hundred stories from OT. But for years I have questions. How can Buddhist accept Jesus if they read the goriest book in history: OT. How can my nation accept Jesus if they relate OT with Hebrew because they hate Hebrew so much? How can I say to an atheist and scientist about Noah’s ark and flood, who wrote Job, dinosaur era, the age of the earth? I was mad at my friend who said we are living in grace era since Jesus died and rose and resurrected, no need abide by Moses law. I answer him that Father is the same, before and after Jesus came, His Word, blessings and cursed are still applied to us if we follow or break His commandments. I thought, because of your thinking, we live by grace, so we do sin more. Why not tear out your OT and throw it away. A week later, I bought Irresistible, read it in 2 weeks. Along with National Geographic magazine title: The Origin of the Christianity. Now I know what is the cause that makes most people killed in these 2000 years. The OT Law. OT is a story and contract between God and His lovely nation, Hebrew. It just applied 2000 years before Christ. Not to be applied after Jesus came, for anyone, anywhere, anyhow. Hundreds of Moses laws are converged into Greatest Commandment, including 10 Commandments, it is vertical love AND horizontal love. We applied that double each day. Combine with our faith in His resurrection. This is Irresistible. Simple. We are here to see Great Awakening because our faith and our love for others, like Jesus loves us. Paul says he considered all is rubbish except the knowing of Christ. He defends His faith. Why we defend OT since Paul said he had killed thousands because defending OT. I agree with Ps. Andy Stanley. Change the name of OT into “Hebrew Bible” and put it in the back of Bible. Change the name of NT into Christian Bible and put it in front of the Bible. Anyhow, because of many prophecies in OT about Jesus and the fulfillment made me believe in Him.